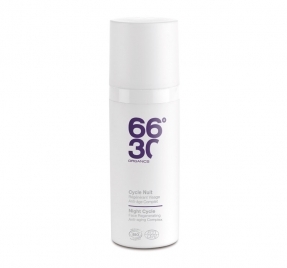 Men’s skincare brand 66˚30 launches at Whole Foods. Whilst Katie’s inundated with new product at Chutzpah Mansions, it’s extremely rare that I get to trial new ranges. This may well change, as the male grooming industry is rapidly expanding, and there is a host of niche brands looking to gain a foothold in that sector. One of these companies is cult French concern 66˚30. New at Whole Foods stores and also stocked online by www.hecosmetics.com and www.mankind.com, 66˚30 offers an innovative range of products designed to protect against the potentially harmful effects of modern life on men’s skin, such as air conditioning, ozone, pollution, sunlight, and stress . Containing up to 80% organic ingredients, 66˚30 is the antithesis to the paraben-packed toiletries most men buy on impulse at the supermarket (of which, guilty as charged y’Honour). I’ve done the crime and my skin has definitely done the time so I jumped at the chance to try out a couple of these products. The Cycle Extreme Essential Face Balm offers 66˚30’s leading-edge Urban Shield protection, and contains Seaweed to improve cell renewal, Processed Sesame Oil to assist repair capability, relaxing and soothing Montpellier Rockrose, Argan Oil, Shea Butter, and Spent Wax, plus wrinkle-reducing Sodium Hyaluronate. Claiming to be ideal for use before sports and other activities, I trialled this product during my daily visit to the gym. The packaging doesn’t disclose a fragrance, so I can only presume that the rich lemony menthol aroma is the result of synthesising the above ingredients. I found this scent extremely attractive, if a little heavy, so it might not work so well with your day-to-day aftershave slapped over the top. The fluid was easily absorbed and my skin looked brighter whilst the fragrance played with my pleasure centres. Not only did I look fresher, I felt fresher too. It’s easy to say that I was wowed by this product. I have previously written about eye fluids, which have always seemed a waste of time to me, possibly because I’m so relentlessly “on the go” that the resultant bags and dark circles are too much to contend with. 66˚30’s Cycle Precision 3-in-1 Eye Fluid promised to reduce these, as well as tighten the skin. Active ingredients Amino Acids, Red Deep Sea Algae, and Buckwheat Wax take care of the science part whilst Elderflower Water and Hibiscus Seeds soothe muscular tensions around the eyes. After a few days I did actually notice some difference, despite current work stress ruining my sleep patterns. Both of these products did exactly what they say on their boxes, and the face balm actually exceeded my expectations. Not only have I been forced to rethink my stick-in-the-mud facial routine, I might also look into the other products in the range too. Stylishly packaged, 66˚30 is expensive in comparison to other men’s toiletry brands but not by female standards, and is a prime example of getting what you pay for. Sorry L’Oreal Men Expert, but I’ve decided I’m worth it.